TENGU [email protected] 400% Custom by Fakir Design! Earlier this week, when we said to keep an eye out for more Fakir Design work coming in the near future (read HERE) we wasn’t expecting another awesome 400% [email protected] custom but we’ll take it because this one is waaaaaay better than the HYOTTOKO custom released on April 1st. In our humble opinion, of course. 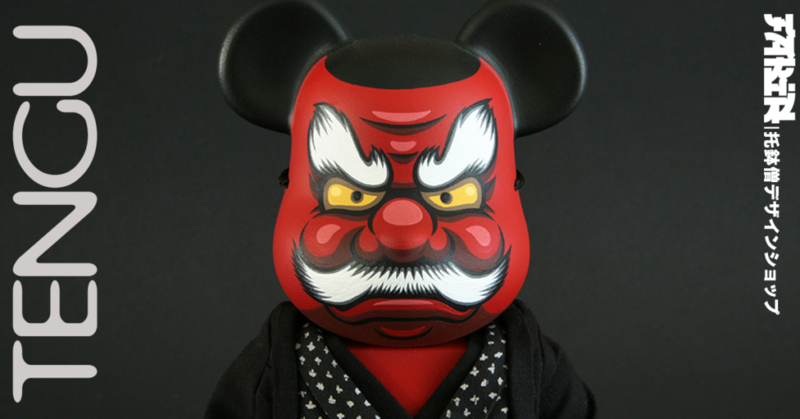 TENGU is going to be released in limited numbers (five) on Monday 8th April. Priced at 700euro (about £603). You will be able to purchase from the Fakir store HERE on Monday. Each TENGU wears an authentic Japanese material kimono. TENGU stands at around 11inches tall. Remember, you can find Fakir on Instagram HERE. And as we said before, keep your eye on more Fakir news in the future. We hear good things are coming your way!